*Now TomGaines-ified to Pete's format, with a cellophane twist. George and Faith Dunlap have it all: financial success, adoring children, a gracious home. And yet they have nothing. Faith sums it up when she introduces herself to George's friends at a posh party: "I'm not his friend. I'm his wife." Albert Finney and Diane Keaton star in a poignant, unsparing story of a marriage in crisis written by Bo Goldman ('Scent of a Woman') and directed by Alan Parker ('Mississippi Burning'). The Dunlaps surely once loved each other. But George has a mistress, Faith drifts into an affair and silences between them are broken by too many wrong words. At once unique and universal, their story "contains a raw emotional power of the sort we rarely see in domestic dramas" (Roger Ebert, 'Chicago Sun-Times'). I'm grateful that with DVDs, I'm able to catch up on movies I wouldn't have understood at the time. This movie came out the year I graduated from high school, too new in the adult world to connect or even have a desire to see a film like this. Now, 25 years and a lot of living later, I felt every minute of the pain on the screen. I can't say that it's a fun movie to watch. It's more of a catharsis. It leaves you with an overall emotional impact rather than one of enjoyment. 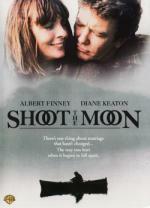 Although I will say that it was enjoyable to watch Albert Finney and Diane Keaton for sure. They did a great job. The revelation for me in this cast though was Dana Hill. I remember her from years ago, and sadly as I looked things up on IMDb, I see that she passed away about 10 years ago at 32. It's a wonder to me that she wasn't nominated for awards for her performance here. She plays the oldest daughter and did such a great job portraying the pain and anguish that is felt by the children in divorce. Also in the cast of kids are Tina Yothers (Family Ties) and Tracy Gold (Growing Pains) when they were quite young. The DVD presents a good anamorphic transfer in the original mono sound with a commentary. It's a good movie, which I recommend, but it's more of an experience than entertainment. 7 on the cellophane scale. 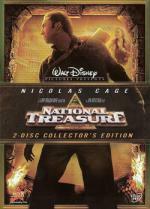 From Jerry Bruckheimer, producer of Pirates Of The Caribbean, comes the definitive National Treasure. Get closer to the edge of your seat with the 2-Disc Collector's Edition DVD of this thrilling adventure starring Academy Award Winner Nicolas Cage (Best Actor, Leaving Las Vegas, 1995) as Benjamin Franklin Gates. With heart-pounding chases and close calls, this high-stakes crime caper is the most exciting treasure hunt you've ever experienced - now with a treasure trove of new special features. I was never too interested in seeing this. My father-in-law brought it to my attention recently and so I checked it out. This is what I would call an old-fashioned Saturday afternoon movie. Not a great film, but it's good entertainment. Great to eat popcorn to. It's noticeably PG rated too. No swearing that I can recall. That sort of felt unusual. I enjoyed the Philadelphia locales. I was recently in Philadelphia for the first time and there were a few places in the film that I actually recognized. One of my favorite places I've ever been was the Reading Terminal Market. There was a chase scene through the market in the film, so I was quite excited by that. Fans of Dexter will see Sgt. Doakes and Paul Bennett in tiny roles as FBI Agents. 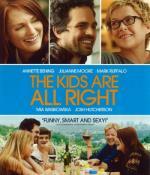 Completely formulaic, but good fun. 6 on the cellophane scale. All eyes are focused on the Vatican, hoping to see the traditional puffs of white smoke that signal the selection of the next Pope. But this time, much more is at stake. The new pontiff may be the only person who can bring peace to a world hovering on the edge of nuclear nightmare. From Morris L. West's bestseller, 'The Shoes of the Fisherman' is both an urgent tale of geopolitical intrigue and a fascinating look at Vatican procedure. Anthony Quinn plays a newly freed Russian political prisoner thrust into the spotlight as Pope Kiril Lakota. Laurence Olivier, Oskar Werner, John Gielgud, David Janssen and Leo McKern (the National Board of Review's Best Supporting Actor) enrich a dazzling production nominated for two Academy Awards®, and a Golden Globe® winner for Alex North's score. 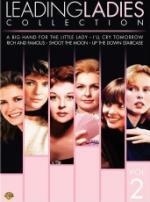 I purchased this DVD as part of the Films of Faith box set. I'm an Audrey Hepburn fan (The Nun's Story) whereas my wife and father-in-law have fond memories of seeing The Shoes of the Fisherman in its original release. So I decided to check it out. There was a lot I didn't understand since I'm not Catholic, but I did enjoy the pomp and circumstance of how a pope is chosen. It's interesting that the fictional story of this former Russian prisoner who becomes pope somewhat foreshadows the circumstances that elevated Pope John Paul II less than 10 years after this film was made. Anthony Quinn is superb as Kiril Lakota, who becomes Pope Kiril. The Oskar Werner storyline about the cosmic Christ escaped me as a non-Catholic, and I had to read up a bit about that after I watched the film. David Janssen has a thankless role as a TV reporter. I question whether his part could have just been removed from the film altogether. The transfer is good for its age and there's one featurette of interest. This is one of those roadshow-type films with an overture, entr'acte, and exit music. No matter the film, I'm always a sucker for a roadshow epic! The best part of the story for me was seeing how a man's faith informs his decision making and reveals his character. If you can watch it on that level, you'll find it enjoyable. Jeff Bridges stars as Nick Kegan, the son of world-famous tycoon Pa Kegan (John Huston) and half-brother of the late President Timothy Kegan who was slain by a lone assassin 19 years earlier. But when a long-rumored "second gunman" makes a secret deathbed confession, Nick begins to unravel a trail of suspects that includes a billionaire war-freak (Sterling Hayden), a murderous Mob boss (Ralph Meeker), a shady nightclub owner (Eli Wallach), a Cuban kingpin (Tomas Milian), an eccentric computer expert (Anthony Perkins) and a mysterious Washington madam (Elizabeth Taylor). Belinda Bauer, Toshirô Mifune, Dorothy Malone and Richard Boone co-star in this one-of-a-kind black comedy thriller from acclaimed writer/director William Richert and based on the best-selling novel by Richard Condon (PRIZZI'S HONOR and THE MANCHURIAN CANDIDATE). I stumbled on this film unexpectedly. I'm a fan of Elizabeth Taylor and was looking for her films on DVD. Here she has a silent uncredited role. But I'm happy to have discovered this film! 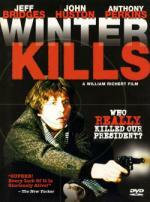 It's an odd blend of political thriller and black comedy satire, all rolled into 1970s goodness. Jeff Bridges is terrific in his role as the brother of a slain president who himself stumbles onto the trail of the mystery of who killed his brother. John Huston just chews up the screen as his father. Anthony Perkins is fun as a techie kingpin. And there are so many cool cameos. Toshirô Mifune as the butler! Eli Wallach and Sterling Hayden. Richard Boone! And Dorothy Malone comes out of nowhere in a late-career appearance. And then there's Liz Taylor. Not only is the movie a revelation, but this Anchor Bay package is really first rate. There's a commentary with a very enthusiastic director. This guy has only directed less then a handful of films, but he's very passionate about this one. His commentary and the featurettes detail some very interesting drama surrounding the making of the film. It's really a great study in how a non-studio film is made when money is hard to come by...and when money gets borrowed from the wrong sources. 8 on the cellophane scale. It's 1962, and change is in the air in Baltimore. 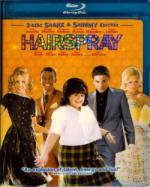 Tracy Turnblad, a big girl with big hair and an even bigger heart, has only one passion--to dance. She wins a spot on the local TV dance program, "The Corny Collins Show" and is transformed overnight from outsider to irrepressible teen celebrity. But can the trendsetting Tracy win the heart of teen-dream Link Larkin and stand up for what she believes in, despite the program's scheming stage manager? All she needs is her best friend Penny, a toe- tappin' beat - and a little HAIRSPRAY! I barely remember seeing the John Waters version with Ricki Lake. My daughter saw a touring production of the stage version. She loved it and knowing my love of musicals, she urged me to see it first on stage and then on film. I never did. Then it played on an airplane I was on but the screens were so terrible. Each mini-screen was affected by a different color saturation. Mine was green. The movie looked fun, but I couldn't appreciate it under those circumstances. I grabbed the Blu-ray version on my way to the cashier when I purchased my Blu-ray player. Watching it today was one of the best eye and ear candy experiences I've ever had with a musical. It's so well cast. Each actor is so perfect for their role. I really can't single anyone out since they were all terrific. The music is catchy. I found myself humming "Good Morning Baltimore" afterwards. The story caught me by surprise. I wasn't expecting more than just breezy songs in a '60s setting. But it has a great message about tolerance. The Hi-Def version is eye-popping. Just fabulous. The 2-disc set is packed with extras. 10 on the cellophane scale. If only the scale went to 11. 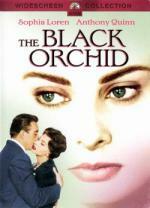 Anthony Quinn and Sophia Loren star as longtime widower Frank and recently widowed Rose, lonely hearts who discover something special in ‘The Black Orchid’, a sensitive comedy romance directed by Martin Ritt (‘Norma Rae’, ‘Murphy’s Romance’). What they discover is each other – and a love that restores joy in their lives. Yet before they can say “I do,” Frank’s daughter says “No you don’t!” With all the heart and courage they possess, Frank and Rose work to win over his daughter and to rescue Rose’s son from a path that has him headed for reform school. Love may be better the second time around… but for Frank and Rose it’s also a lot more complicated! It seems to me that Paramount has dressed up this DVD package to try to sell it as something it isn't. The color cover is beautiful, but this is a black and white film. The back cover has pictures of the actors laughing and the overview calls it a comedy romance, but it's a serious romantic melodrama. It's a straight 1950's melodrama. There's nothing wrong with a black and white romantic melodrama. I happen to love them. But don't be fooled by that gorgeous color cover. Sophia Loren is a widow and Anthony Quinn is a widower. There's discussion that both of their deceased spouses had undesirable qualities, but in that era, it didn't fly to match up divorcees. The previous spouses needed to be good and dead for romance to bloom anew. Anthony Quinn was hot off winning his second Oscar when this was filmed. Sophis Loren would win hers shortly after. The writer would soon pen Pscyho! And the director, Martin Ritt, was one of the most underrated directors, certainly a favorite of mine (The Long Hot Summer, Hud, Sounder, Norma Rae). If you like the 1950's style melodrama, you'll enjoy the film. The transfer is fine and I think we're fortunate to have an anamorphic widescreen version of a film that isn't exactly a money-maker. Do you have more than one "significant other"? Richie, I hope you like it. I love musicals so my ratings are suspect in that area. yes Fogg... it's the 5th if you do not want to incriminate yourself. And I would be suspect of James' recommendation as well. One question James, did the wife enjoy it? Yes, she did in fact. She likes John Travolta and didn't realize that he plays the mom. She leaned over and asked me who the actress was and when I replied that it was John Travolta, she laughed uncontrollably for quite some time. One question James, did the wife enjoy it? Yes, she did in fact. 3 year necro-bump! Switching from a 10 point scale to a 5 point scale too. * Annette Benning: 2004 Best Actress, Being Julia; 1999 Best Actress, American Beauty; 1990 Best Supporting Actress, The Grifters; Julianne Moore: 2002 Best Actress, Far from Heaven; 2002 Best Supporting Actress, The Hours; 1999 Best Actress, The Ent of tha Affair; 1997 Best Supporting Actress, Boogie Nights. One of the moms ends up stepping out of her 20+ year lesbian relationship to have an affair with the newly discovered sperm-donor dad. I didn't find this believable at all and I thought it killed the opportunity to present a rare on-screen longterm lesbian marriage. As for the actors, they all did a terrific job. Annette Bening rightly garnered kudos for her performance. Mark Ruffalo is perfect as the carefree lothario. 2 on the cellophane scale. I really liked Hairspray when I saw it too.